Day 2 : the hike from camp Grey to camp Italiano. It was time to turn back. But the weather had turned. Snow fell. The farther we walked into the mountain valley, the bigger the cold feeling in the pit of my stomach grew. I knew that even if we reached the camp, the path would be covered in black ice tomorrow morning, when it was time to descend. Suddenly, my traveling companion and I stopped at the top of a hill. The path descended into a tunnel of trees. “I don’t want to go down there,” is all we said. The last day of the hike. The weather turned as we hiked into this . To this day, I don’t know what made us stop at that moment. We were so close! Why stop now? There were even a few people ahead of us. Of course, it would be fine. Why go back now? But the heart overruled the head. As we began the hike back down, the sickening feeling in my stomach dissolved away. A calmness and deep relief settled over me. We made it back to “Campamento Chileno” at dusk. Staff welcomed us in, we joined a table by the fire, and uncorked a bottle of Carmenere wine. It was a Canadian man, Anti’s, birthday, and we all raised a glass. Suddenly, I realized that those famous granite towers at the end of the hike did not matter at all. We turned back when we were so close to the most iconic sight in the park! But it did not matter. I was grateful to simply be sheltered inside, with others, enjoying a warm meal and wine together next to a fire. To this day, I am glad my friend and I listened to our gut feeling. I am glad we respected Mother Nature’s power, the snow, and did not let our pride of finishing the hike cloud our judgement. At the end of the day, it’s not always grand achievements or “completing” something that matter most. Sometimes it’s just sharing in a community with others. That last day in Patagonia, in those cold, wild mountains, I understood what that meant. In awe of the French Valley. The ice falls and it sounds like thunder through the night. 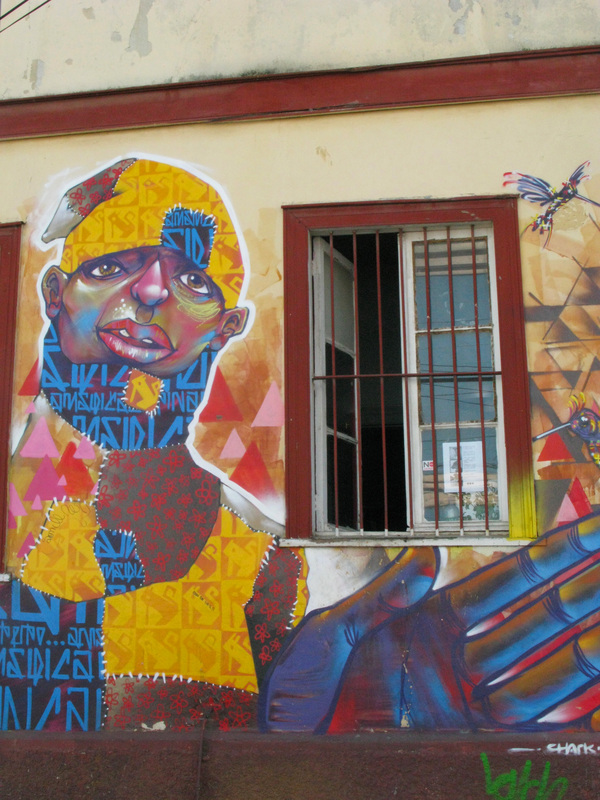 Last year, I spent a week in Lima, Peru’s sprawling capital. 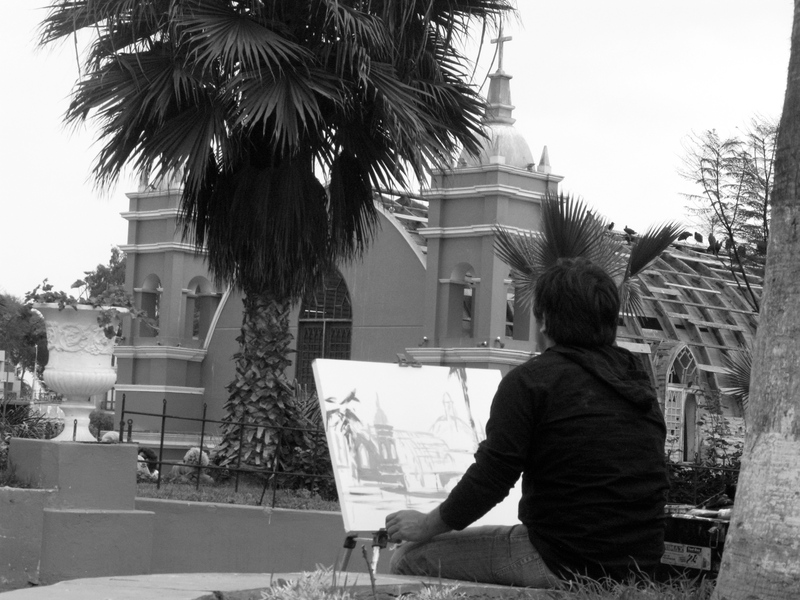 I stayed in Barranco, a sleepy, seaside neighborhood south of Miraflores. 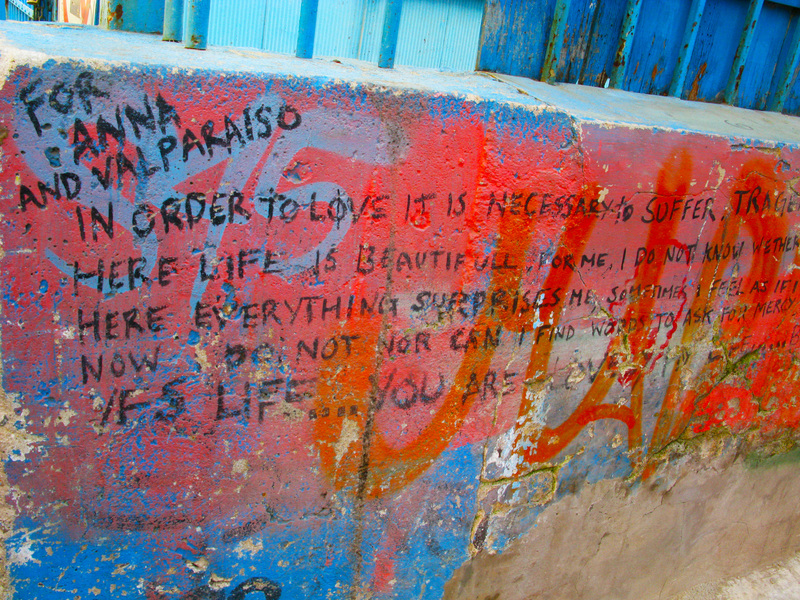 Barranco is a place of crumbling mansions. Rusting gates line the narrow, cobblestone streets. Ravens perch on fences, as still as gargoyles, while the ocean mist creeps to shore. 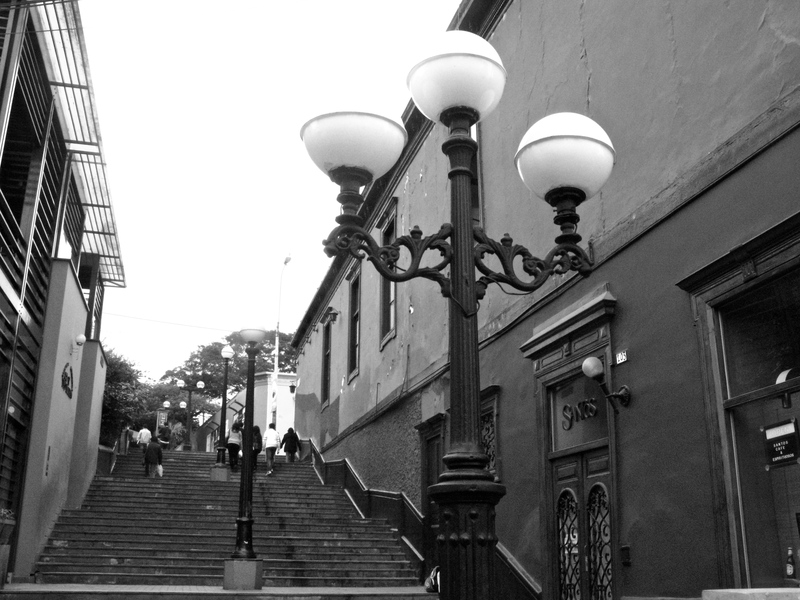 Barranco is coated in nostalgia during the day, but at night, this sleepy neighborhood swings open its doors, the Pisco Sour flows, and the rock n’ roll bass is so strong it can beat your heart for you. Here are some of my favorite places in this neighborhood, from the weekend food stalls, to the quiet side streets near the Bridge of Sighs. 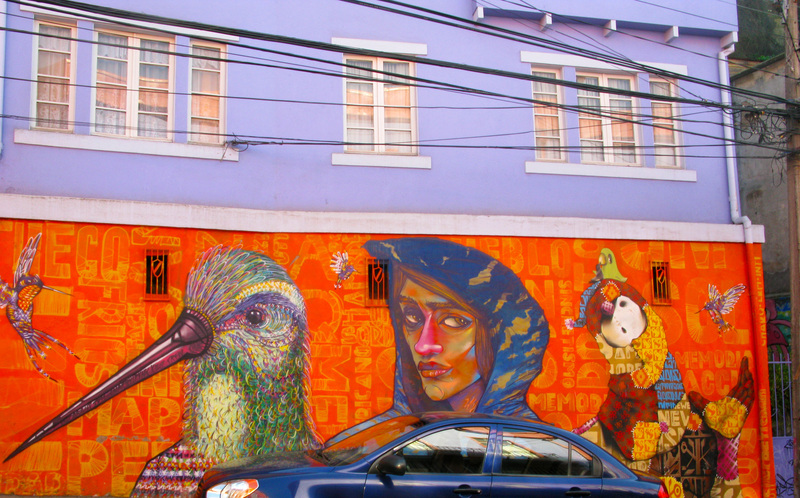 If you’re ever in Lima, Peru, make sure to check out this neighborhood! 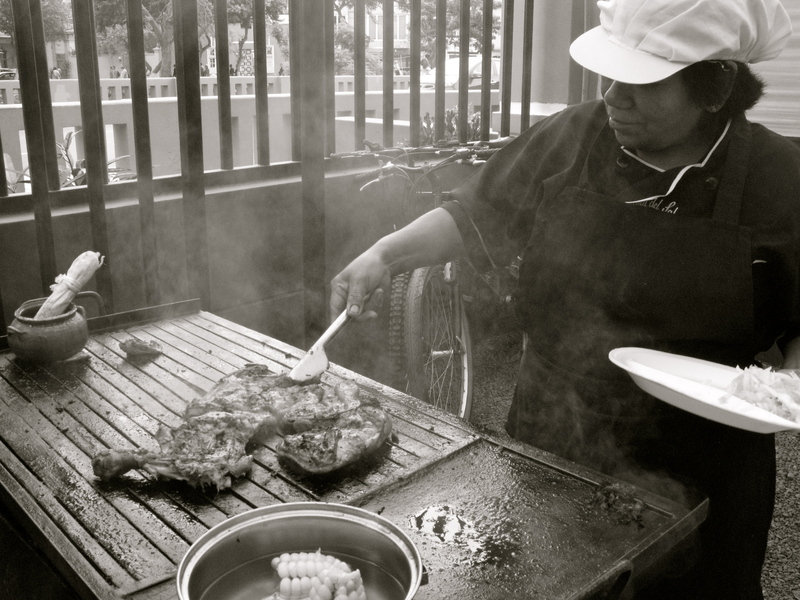 Cuy, or roasted guinea pig, is a Peruvian specialty. 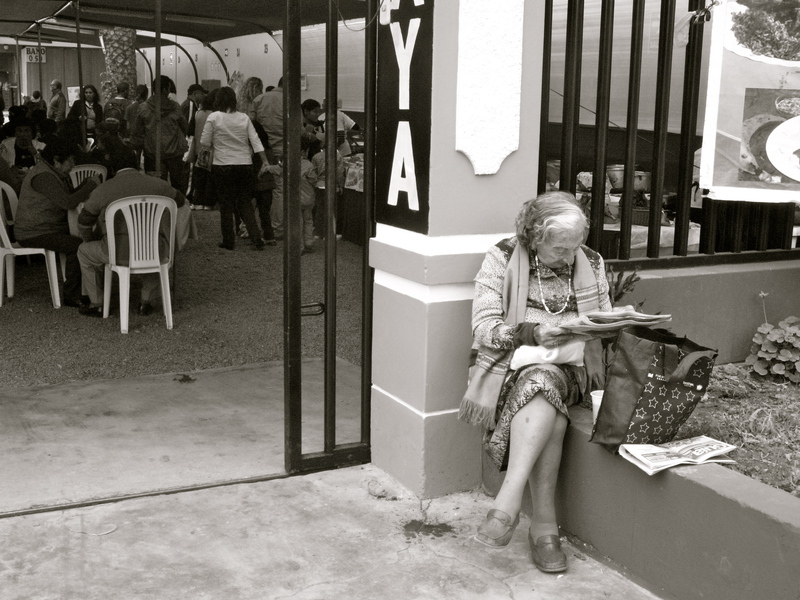 Preparing local food at the weekly feria gastronómica in Barranco. A walk across the famous “Bridge of Sighs”. They shout it three times. Whenever I heard Chileans sing their national anthem, I noticed how they always shouted these lines. People went from singing, to raising their voices in unison. A local teacher told me that during the Pinochet dictatorship, this part of the national anthem became a way for the people to empower themselves. The habit has carried on. Final hours in South America. 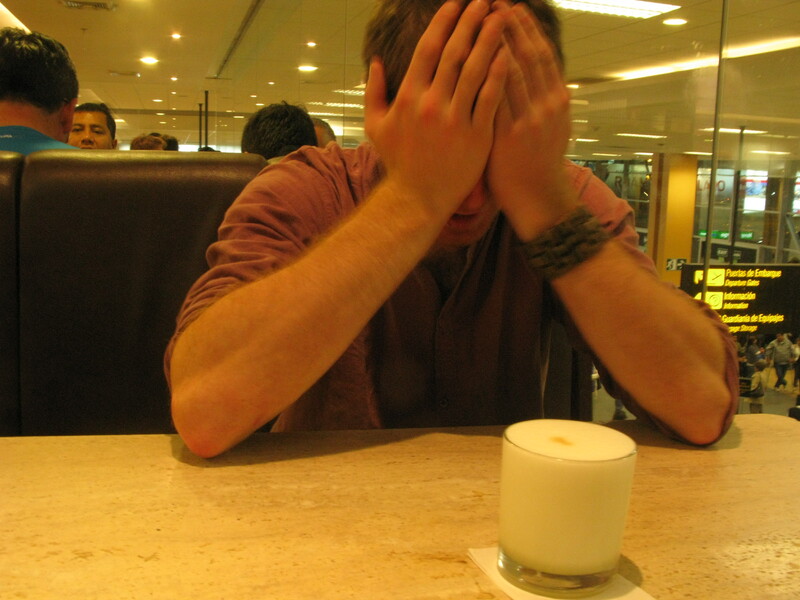 Brendan, in sadness, with his last pisco sour at the airport. There’s this amazing line at the end of The Motorcycle Dairies. 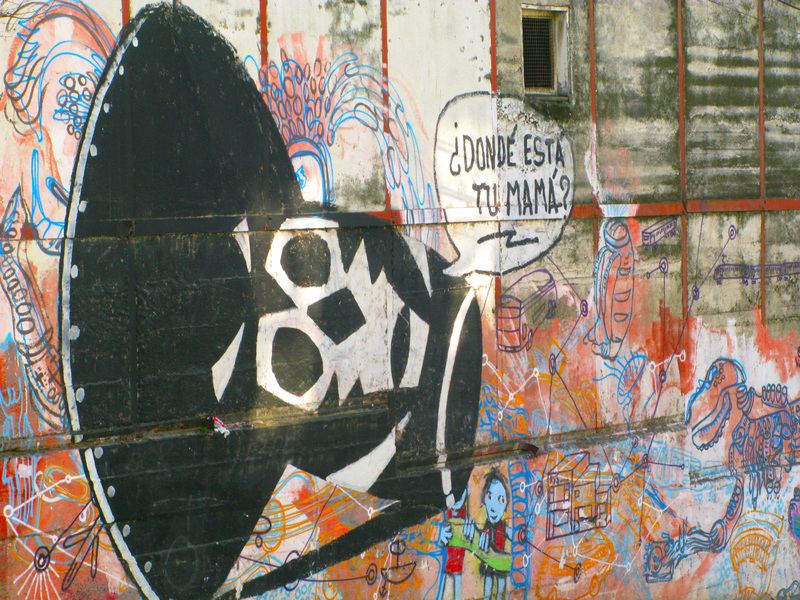 I’ve been back from South America for several months. Chile’s culture shock sure hit while I was living there, but now, this reverse part is more noticeable. 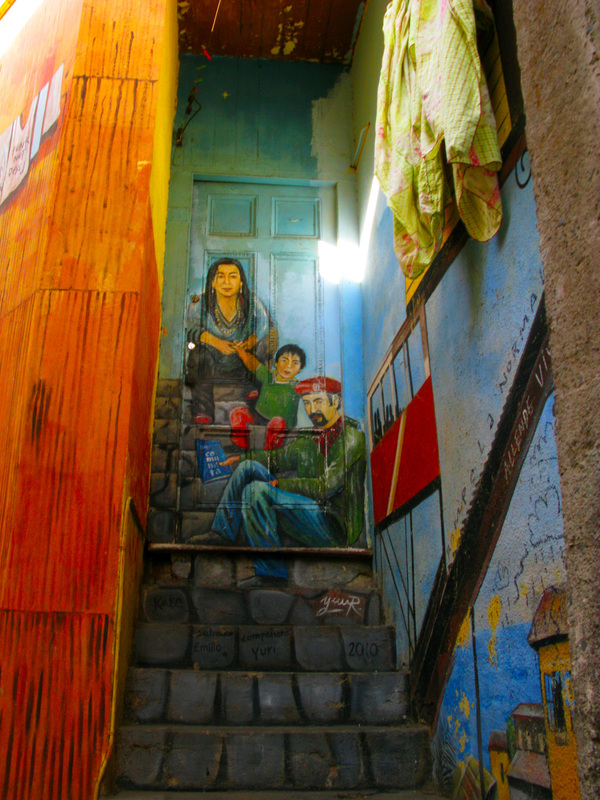 • Closeness and greetings In Chile, you greet and say goodbye with a kiss on the right cheek. You do this everyone. I’ve been back to California for several months, and it feels weird to not have this physical contact with people anymore. (So I’ve developed this habit of giving awkward half-hugs when I say goodbye to groups of people.) 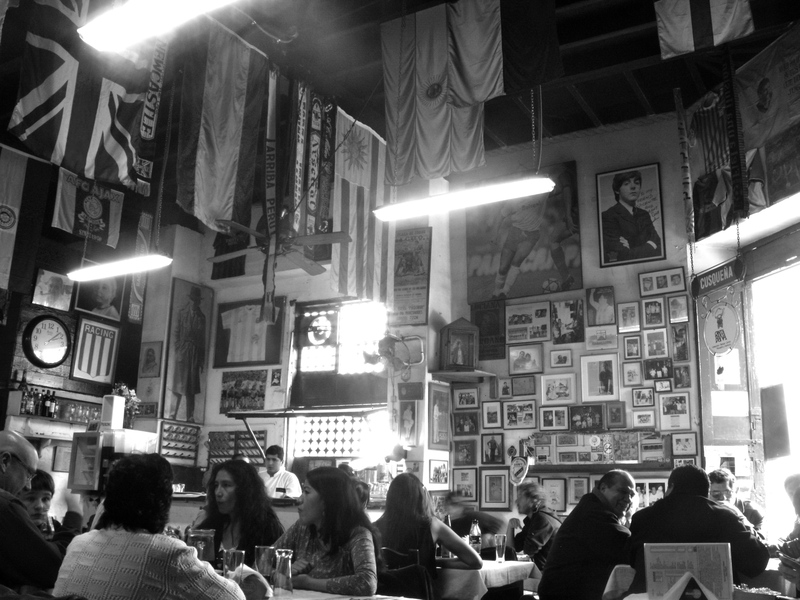 In Chile, people also frequently touch arms or shoulders in conversation. I love this. Not so much in America, though. • Community Upon returning to the Bay Area, my roommate and I had a talk about the bustling, technology-driven, work work work pace of the bay area. She said it seems like no matter how many events, shows, or meetings you go to, it still always feels like you’re missing out on something. And it’s true. The Bay Area has everything : every kind of trendy restaurant, live music event, art gallery, film festival, networking meetup, and street fair. There is always something happening, and it would take talent to be bored. But I find that with this constant stimulation, it’s also more easy to be unsatisfied. Because we move so fast and try to absorb so much, we run the risk of not making connections more than surface deep with the people around us. My first shock with this was at the Dallas airport, when I first landed in the US. I spent my layover in a cafe packed with people. Shiny grey MacBooks dotted the room. Earbuds in. 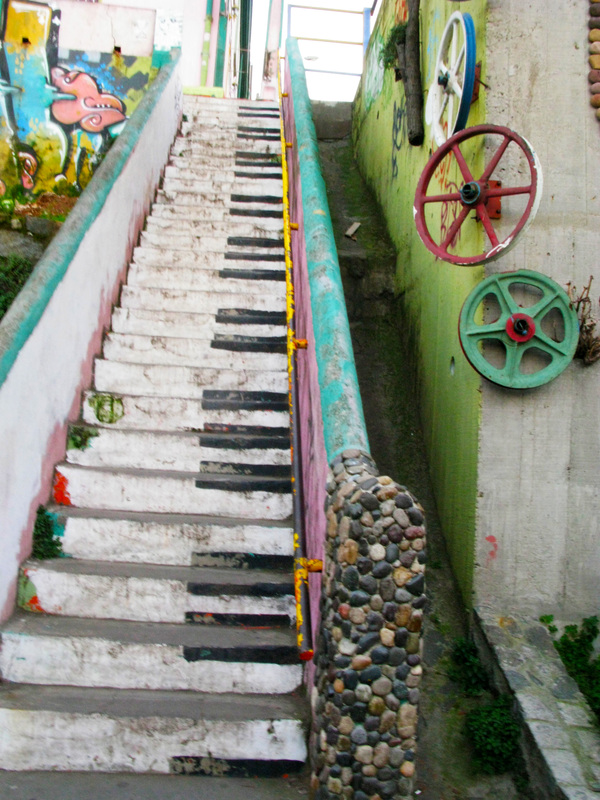 The only noise was the espresso machine and the staccato “tip-tip-tip” of fingers on keyboards. I remember looking around and being amazed at seeing so much new technology in one room. I hadn’t seen an internet cafe in months. So much happening, but so much isolation. 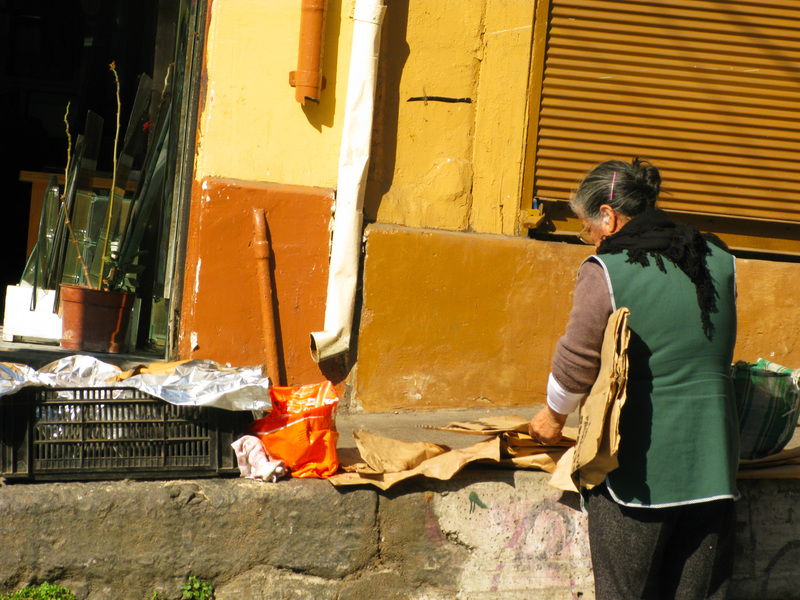 In Chile, I remember slowing down. I remember not feeling overwhelmed by all of the choices, because, well… there weren’t as many. Sure, there were still modern conveniences and amenities, but people also had this deeper human connection. Latinoamerica, te echo de menos. 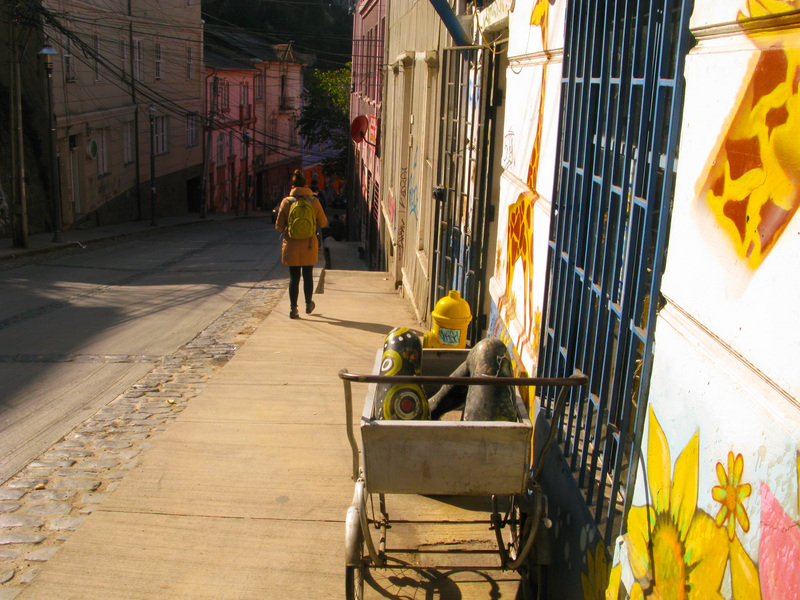 Valparaíso… a coastal city about an hour and half from smoggy and congested Santiago. 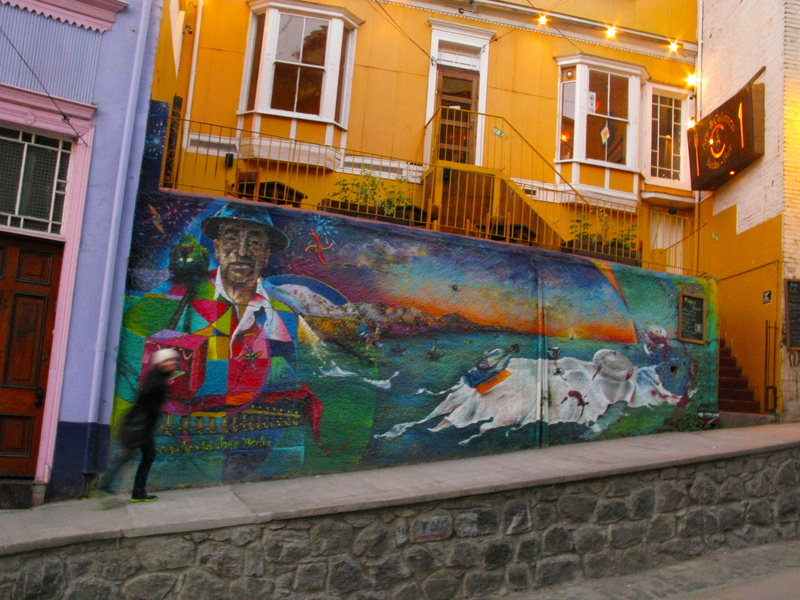 It’s Chile’s cultural center, an eclectic mix of crooked streets, bright walls, and cafes . 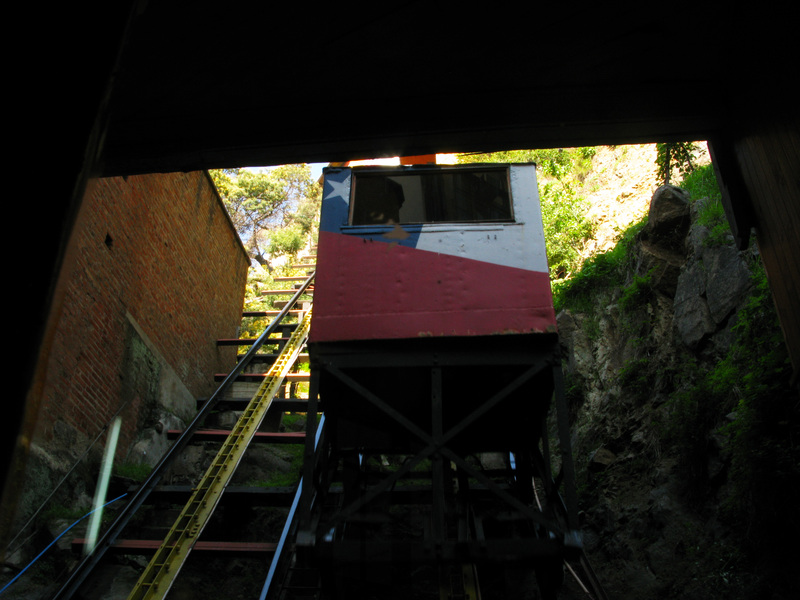 Cerro Alegre, one of the two main hills in Valparaíso. Cerro Concepcíon is the other. 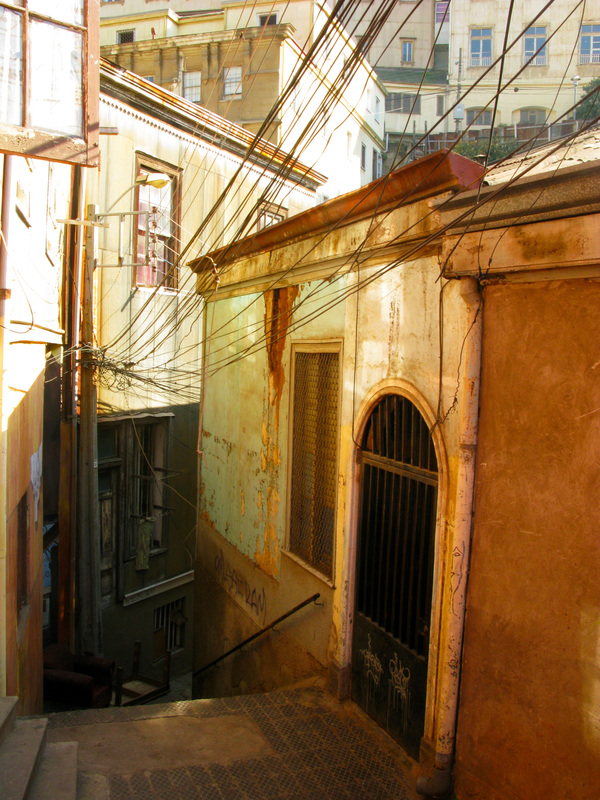 Valparaíso used to be one of South America’s biggest and most important ports, and its crumbling facade represents this era gone by. Despite this, it was named a UNESCO World Heritage site in 2003. 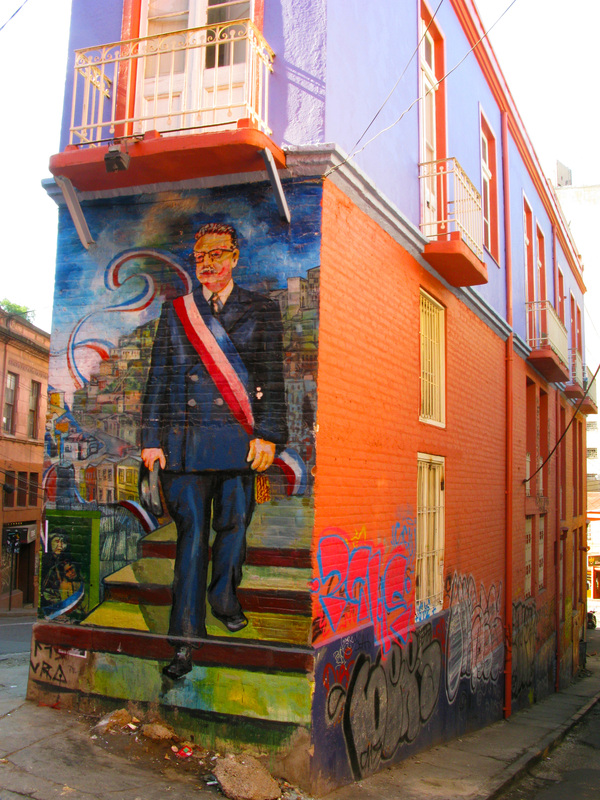 Mural of late President, Salvadore Allende.